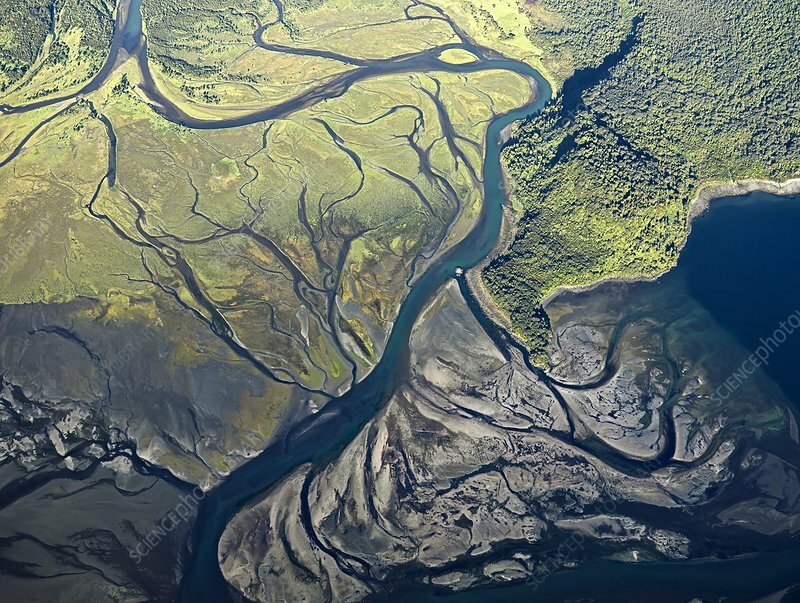 Aerial photograph of the Rio Blanco, Chaiten, Chile. The river Rio Blanco crosses a huge area of grey volcanic ash before it flows into the sea. These ash masses were deposited during the big eruption of nearby volcano Chaiten in 2008. The Rio Blanco washed the ash to the coast and settled it in the flat sea where the ash built a delta.